Tattoo regret is something that many people are familiar with. This happens when they no longer want a tattoo. Maybe the tattoo reminds them of a previous relationship or a period in their life that was fun at the time but now they want to forget. Tattoo regret can also take place when people still like their body art but want to remove it to make themselves look more professional, and increase their chances of getting their dream job. If you are in that situation, modern tattoo removal technology can help. One of the best techniques is laser tattoo removal, which uses modern methods and equipment to lighten, and in many cases completely remove your ink. Before you sign up for this treatment, though, you should do your research and understand the process. Not all laser tattoo removal is the same. Understanding the different technologies available, and selecting the best will allow you to obtain the best possible results. Modern, high quality lasers provide the best possible outcomes with tattoo removal. Most tattoos can be either significantly lightened, or removed completely. However, the success of the treatment depends on many things, such as the type of ink that was used, the injection depth of the ink, and the colors of your tattoo (some pigments are more difficult to remove than others). Also, our immune system plays a very important role in removing the broken-down ink from your skin and eliminating it from your body. 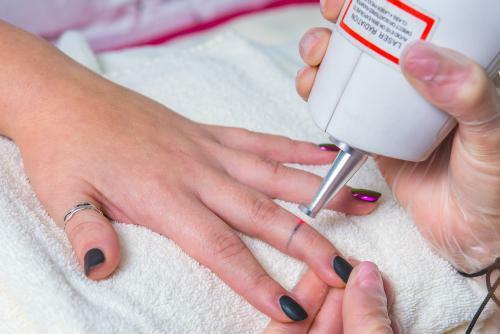 The chances of completely removing your unwanted body art will depend on these factors, as well as the type of laser that is used to remove the tattoo, and they are not all the same. The most effective lasers for tattoo removal are known as picosecond lasers. At Shore Vascular & Vein Center we use the new enlighten laser for tattoo removal. Enlighten uses the newest, most advanced technology to provide the fastest, most complete tattoo removal available. There are times when you just want to alter the appearance of your tattoo. If this is the case, you can use laser tattoo removal to remove a portion of your body art; once it’s gone, you can then ask your tattoo artist to make the changes you want. When performed properly, laser tattoo removal is not only effective, but it is also very safe. An experienced physician will know how to minimize any associated risks. Certain wavelengths of laser energy can cause lightening of dark skin. However, this can be either minimized or eliminated completely by the physician selecting the proper type of laser for the skin type being treated. After treatment, there is usually some bruising and skin irritation that will last for about a week or less. After it heals, the skin will return to normal.